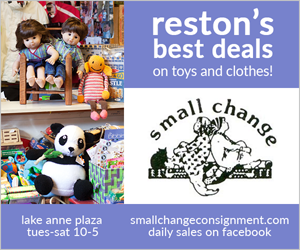 You’ve got to love Reston in October; we have great fall events and gorgeous foliage. 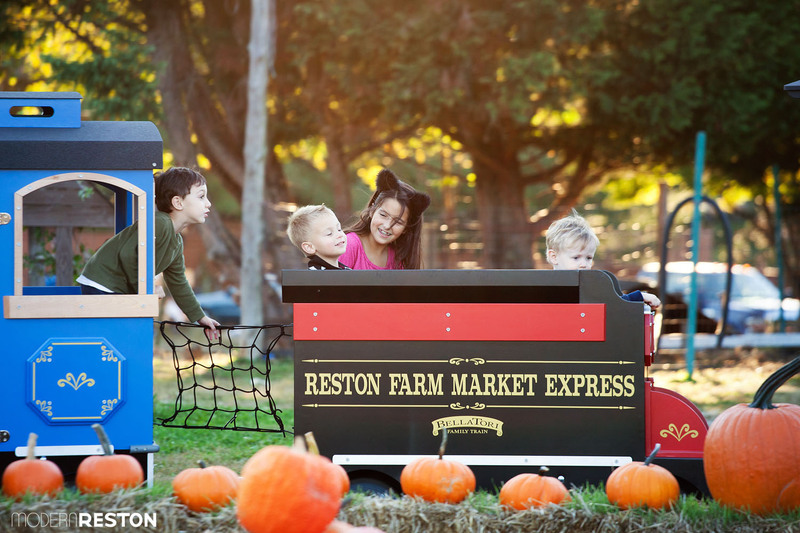 Highlights this month include Oktoberfest Reston, the Washington West Film Festival, the Reston Home Tour, and lots of family fun for fall and Halloween. Here is your October events calendar for Reston and the surrounding areas of Northern Virginia, including Herndon, Great Falls, Sterling, Vienna, and Fairfax. 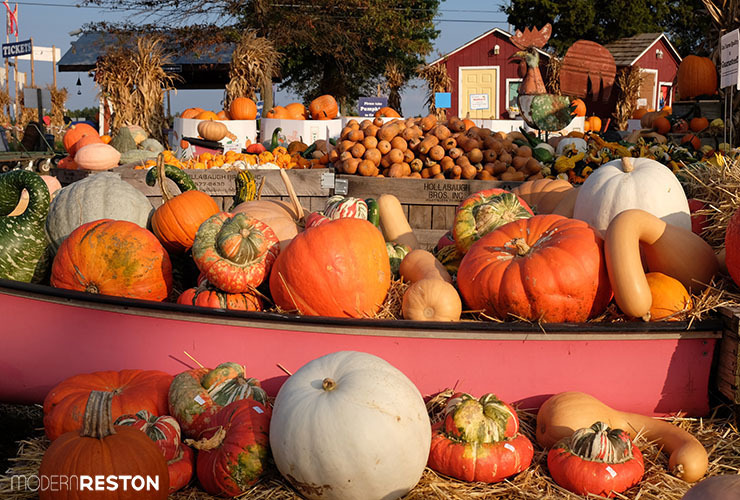 The Reston Farm Market is one of many local places for fall fun. This annual festival for families with elementary and pre-K aged children features carnival rides, animals, pumpkins, and live entertainment. Admission is FREE. This family friendly celebration includes live music, food, vendors, and kids’ activities. FREE. This celebration of Korean heritage and culture includes live music ranging from folk dance to K-Pop, as well as food, vendors, demonstrations, and crafts. FREE. The Lake Anne Brew House will be one of the local beer makers at this festival, which will also offer food trucks and live music. Tickets are $35, non-drinkers are $10, and kids 12 and under are free. Celebrate and commemorate lives touched by cancer. There will be children’s games, food from local restaurants, live music and entertainment until the 2-mile fundraising walk begins. Register or donate online. This Oktoberfest inspired cocktail party will include an open bar, Bavarian inspired hors d’oeuvres and desserts, and a live auction. Cocktail attire. Tickets are $50 and all proceeds benefit Reston Soccer. Bring the kids for a free evening of art making and exploration in the gallery. All ages. FREE. This celebration of Korean culture includes live music ranging from folk dance to K-Pop, as well as food, vendors, demonstrations, and crafts. FREE. Herndon’s annual Bark Bash will offer doggie demonstrations, an adoption event, and an off-leash area. A variety of dog-themed vendors will be available. Entry is FREE. This walk supports the National Kidney Foundation’s mission to fight kidney disease. Register and donate online. Support Rescue Reston with 9 holes of golf, dinner, awards, and prizes. Tickets start at $85. 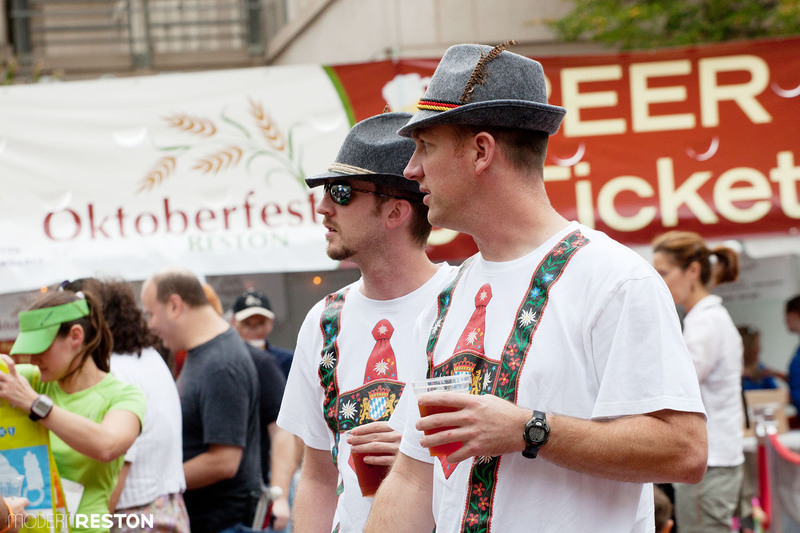 Get your lederhosen ready for Oktoberfest Reston, which takes place on Saturday, October 8 this year. Participants are encouraged to debut their Halloween costumes or dress in their Oktoberfest Lederhosen and join in the fun with the whole family. Register online. Featuring the best in autumn brews with delicious fare from area restaurants. Enjoy food, wine, beer, and live entertainment at the Pavilion and streets. Admission is FREE. This festival in the heart of the City of Fairfax offers 400 juried crafters, a carnival, children’s rides, music, and foods. Admission is FREE. This annual event includes live entertainment, rides, kids activities, dancers, and a variety of food. FREE. This South Asian cultural, arts and commerce festival is an idea place to celebrate Diwali with your friends and family. The festival includes music and dance performances, shopping, food, and kids’ activities. Tickets are $5. Meet the local artists featured in this exhibit of paintings and mixed media. FREE. 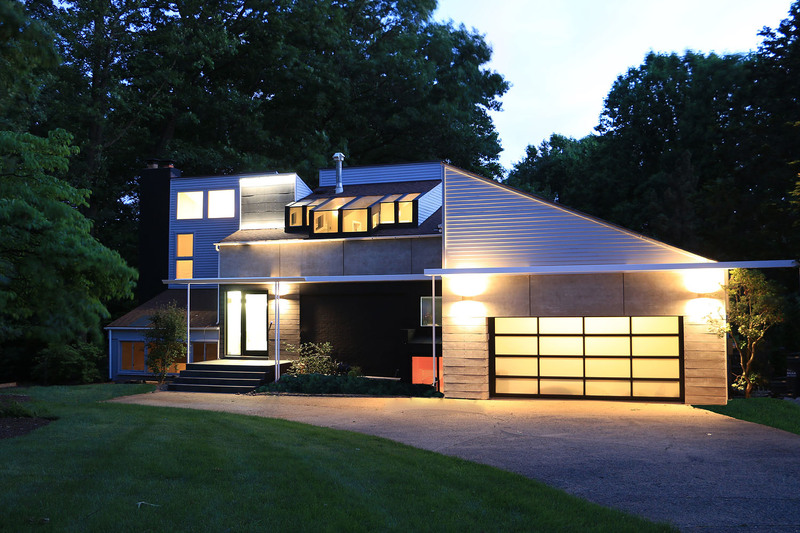 “Embracing Change” is the theme of the 15th annual Reston Home Tour, which offers a look inside some of Reston’s most unique homes as well as the new BLVD apartments at Reston Station.. Tickets are $30 and available online. The 2016 theme is “Music through the Decades – the Twenties to Today.” The parade features floats from student organizations, scouts, sports teams, local businesses, as well as special guests. FREE. Meet the artists featured in this 8th annual portrait painting competition. FREE. This event supports the Crohn’s & Colitis Foundation of America in the search to find cures for inflammatory bowel diseases. There will be IBD friendly food, games for all ages, face painting and crafts for kids, and more. Register and donate online. Child prodigy Jose Andre Montano on piano will star in this historic musical tribute to the late great Edward Kennedy “Duke” Ellington. Special appearances by the Treble Clefs Ensemble and vocalists Candice Bostwick, Harlon Reece, Kari Paludan and Sarah Moyers. Tickets are $20. 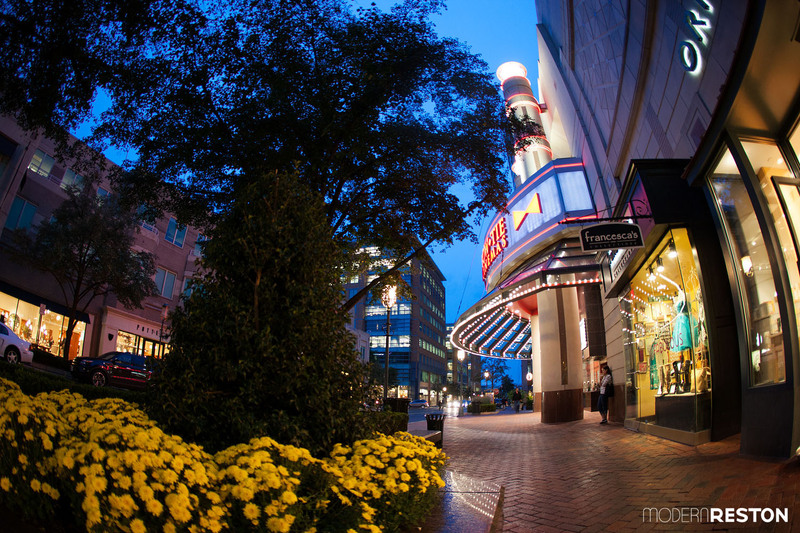 The Washington West Film Festival comes to the Bowtie Cinemas at Reston Town Center October 19-23, with ticket sales benefiting charity. A unique cinematic experience presenting fine independent films screened or premiered in three in-competition categories: dramatic features, documentary features, and short films. Ticket sales benefit The Robert Duvall Children’s Fund. Schedules and tickets available online. The Cox Farms Fall Festival takes place all month in Centreville. Stop by and see Terraset’s newly renovated building. FREE. Join a conversation about the making of the film classic The Sound of Music with actress Heather Menzies Urich (Louisa von Trapp), Nicholas Hammond (Friedrich von Trapp). Questions will be received from the audience. $10-$12. Two inspiring short films that celebrate the power of music, theater, and art, and the many ways our lives are changed because of story. FREE. Graphic designer Tess Rollins will teach you how to create a set of five greeting cards. Registration is $40, which covers wine, snacks, and art supplies. Meet Kristina Alcorn, author of “In His Own Words: Stories from the Extraordinary Live of Reston’s Founder, Robert E. Simon Jr.” LABH barkeep Andy Sigle will read from the text, and copies will be available for purchase directly from the author. 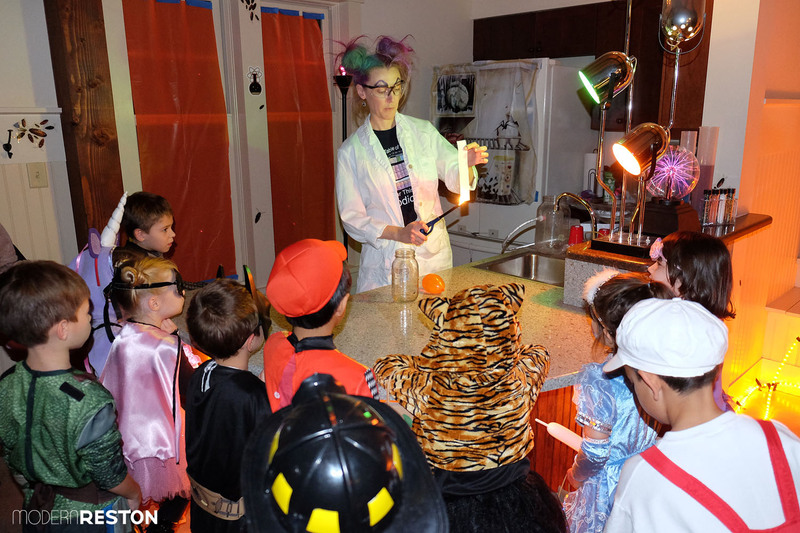 The popular Trick or Treat Trail at Walker Nature Center will take place on October 28 and 29, with advanced ticket sales required. This Halloween celebration for children will include carnival games, admissions, face painting, concessions, and costumed characters. Tickets are $10 and sell out fast, so order them as soon as they are available: Oct 3 at 9am. 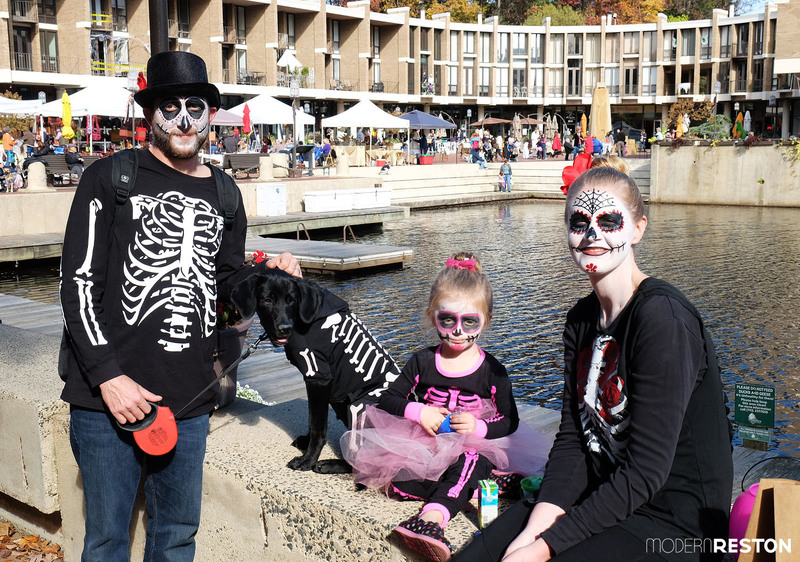 Lake Anne Plaza’s Howl-o-ween, an annual celebration for families and their pets, will take place on Saturday, October 29. Dress yourself and your pet in your finest costumes, and celebrate Halloween at Yappy Hour on the Plaza. 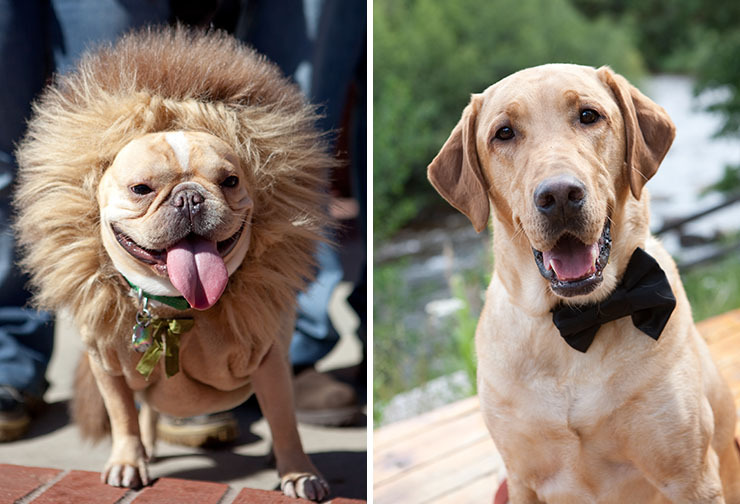 Enter the free costume contests and games for pets and adults. Dogs, cats, and other furry friends are welcome. FREE. Costumed children can visit participating retailers and the Information Center for treats and goodies on Halloween afternoon. Look for the pumpkin flyer in the window. There will be a performance by Turley the Magician at 1pm in Fountain Square and a dog costume contest at the end of the event. FREE. The event will include two authentic German bands, German beer and food. The German Ambassador may be available to serve as Guest of Honor. Tickets are $100 and include unlimited German food, beer/wine/soft drinks, and entertainment. Ticket proceeds support the local and international service activities of the Rotary Club of Great Falls and its foundation. Great Falls Village Centre is hosting a day of Halloween events on October 31, including a pet parade.